Brilliant intense vibrant colors, These hand towels will last you a long time. 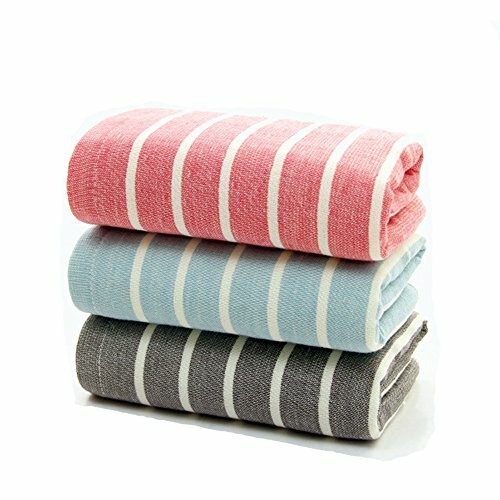 Towels are very absorbent and will remain soft after multiple washes and dry cycles. Our Customer Satisfaction Money-Back Guarantee. full refund. No questions asked; no hassle. Softness and Quick Absorbency: These hand towels are made from cotton to bring you a comfortable experience. Practical and Durable: Our hand towels are great for bath, hand, face, gym spa, and also perfect for traveling and sport. Safe and Eco-friendly: Made from natural materials and free from harmful chemicals and synthetic materials, safe for you and your family. Set Includes: 3 colors hand towels(you won't get mixed up with the towels the other family members use. ), Each hand towel measures 16" x 28"(95g). Care Instructions: Machine wash warm, tumble dry medium, avoid bleach and do not use fabric softener.They will get softer with each wash.